We provide a variety of free study resources designed to help students succeed in their Junior Certificate or Leaving Certificate exams. 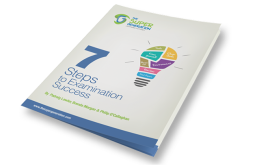 Download your free copy of our best study resource, The 7 Steps Guide to Exam Success. 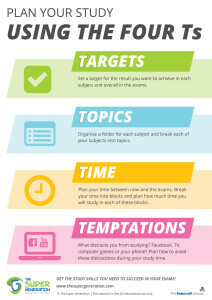 It is full of key information to help you succeed at your exams. 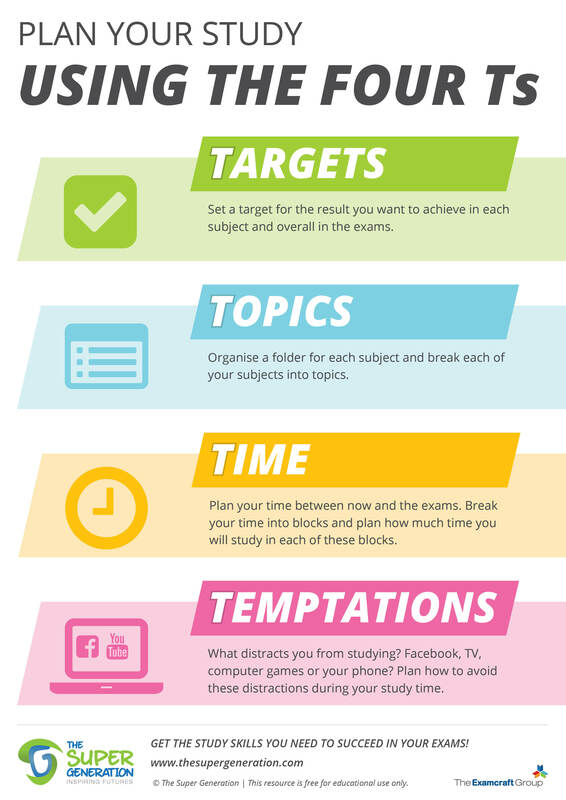 Download a copy of the Plan Your Study Using The Four T’s Poster, which gives you key information on how to effectively plan your study under four easy to remember headings. 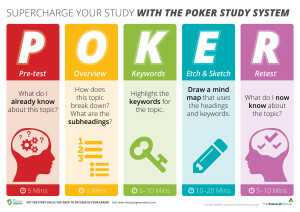 Download a copy of the Poker Study System Poster, which gives you instructions on the five steps to follow in your study sessions. Download a copy of the 5 for 5 Review Poster, which gives you instructions of the steps to follow when reviewing what you have studied. Download a copy of our Weekly Study Timetable and plan your study time each week. This video which demonstrates the ‘Etch and Sketch’ step in our POKER study system using the W.B. Yeats example. Our trainer, Ray, demonstrates how to transform keywords in a topic into a mind map. Below are a collection of mind maps on various topics for both Junior Certificate and Leaving Certificate. These illustrate how to create a good mind map of a topic to aid your study; there is even a mind map on how to make a good mind map!